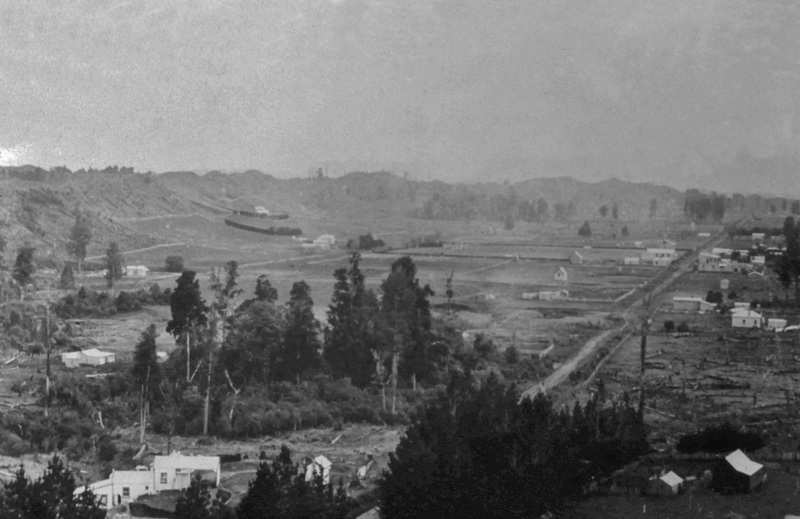 In 1906, the Wanganui Chronicle reported, “The dairy industry in Rangiwahia has become one of the most profitable branches of agriculture”. The article also stated that, “Rangiwahia is one of the rapidly growing inland towns of the West Coast”. 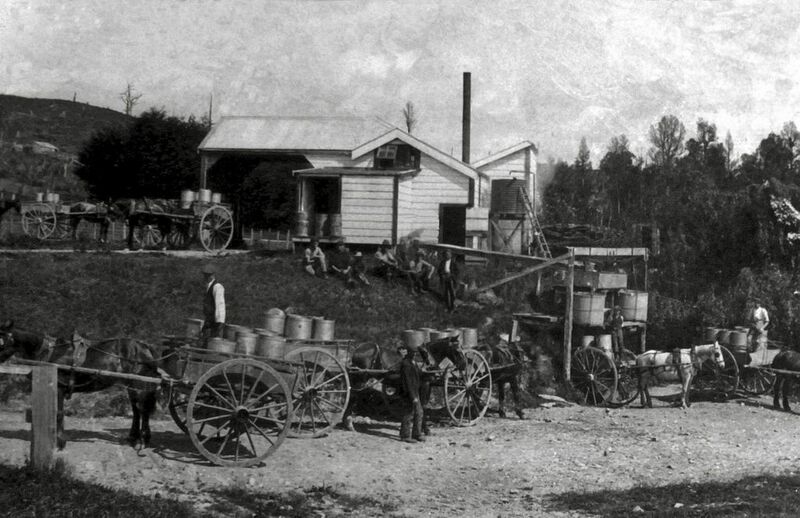 In April 1898 the Rangiwahia- Ruahine Co operative Dairy Company, Limited was formed. 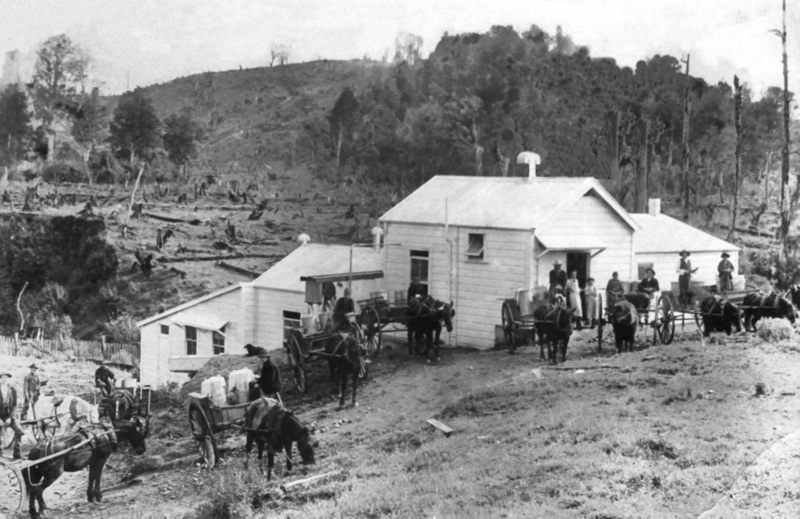 In December 1898 the Rangiwahia Butter factory was built 600m south of the village and was opened for business. It was built on a sloping section using gravity to save labour and pumping. 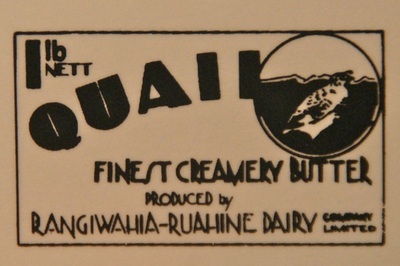 “Quail” was voted for the trademark of the butter just ahead of the name “Emerald”. 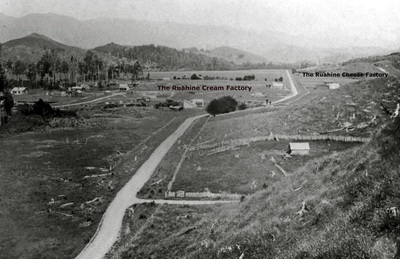 Two creameries were built – the first at Main South and the other at Ruahine. 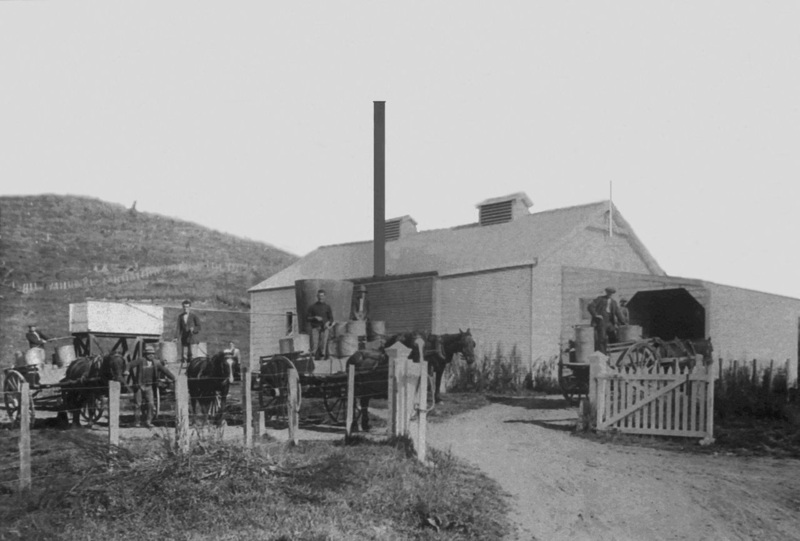 Around 1910, people started separating their own milk at home using hand-turned separators. This led to the closure of some of the smaller creameries, including the Ruahine Creamery. The Cheese Factory at Ruahine was established in 1910, running through until 1918. Milking cows was the main source of income in the local area, aside from bush felling and road building. Often men did a combination of all three to keep their families fed and clothed. On the 15 Feb 1936, a new factory was opened, complete with electricity and, at the time, modern equipment. This Dairy Factory can still be seen today, and is now home to REACT. Did you know? Quail butter produced at Rangiwahia was rewarded for its outstanding quality when it won the World Championship Butter at the Auckland Exhibition in 1925. There were 81 entries received from all over the world, so this was a major win! 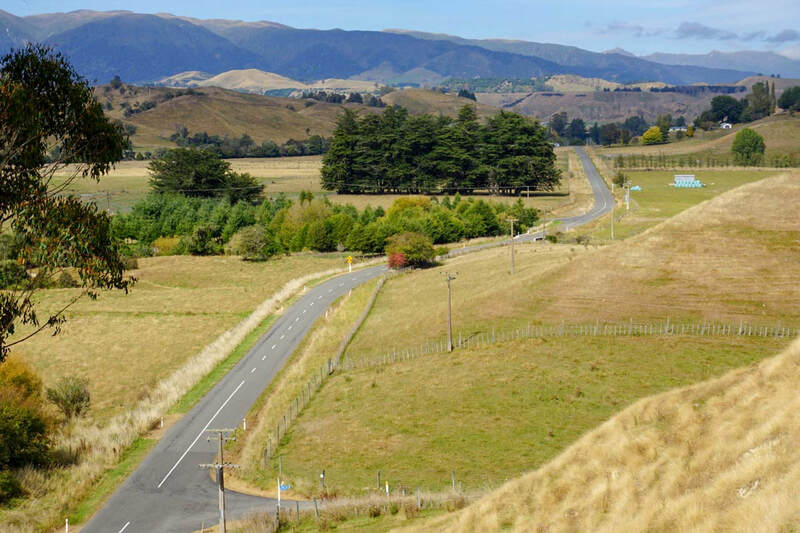 The Quail bird is still a local icon around Rangiwahia to this day. 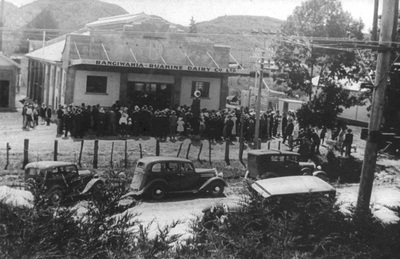 During the 1950’s dairying virtually disappeared from the Rangiwahia District, and with wool & meat prices improving, sheep farming boomed. 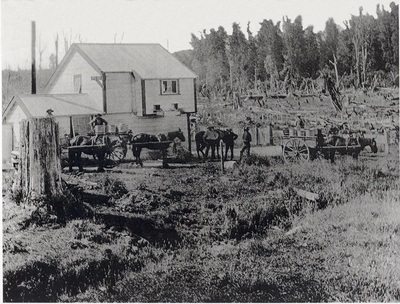 The 21st century has seen the population of Rangiwahia slowly decline with the amalgamation farms, some for the purpose of establishing a few large dairy farms. Potato growing and forestry continue and tourism is emerging in recognition of the unique splendour of the mountains, hills, rivers and valleys in the region around Rangiwahia.